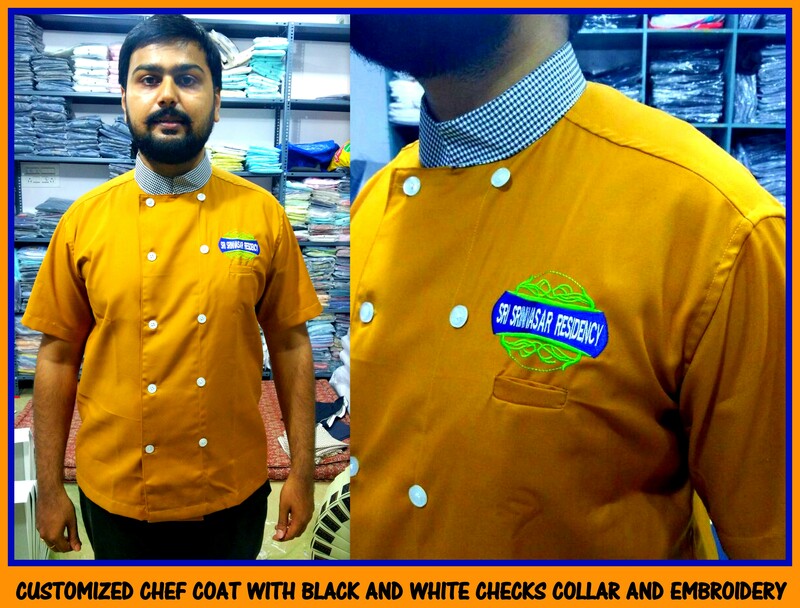 Uniform Chef coats in India !! Another similar Chef coat in golden mustard and black and white checks combo made for kitchen staffs for another client. Cloth used is terry cotton and is of very thick quality. Chef coats in many other combos and designs can also be made provided the minimum order quantity is 30 pcs. Happy to help you with your uniform requirements.